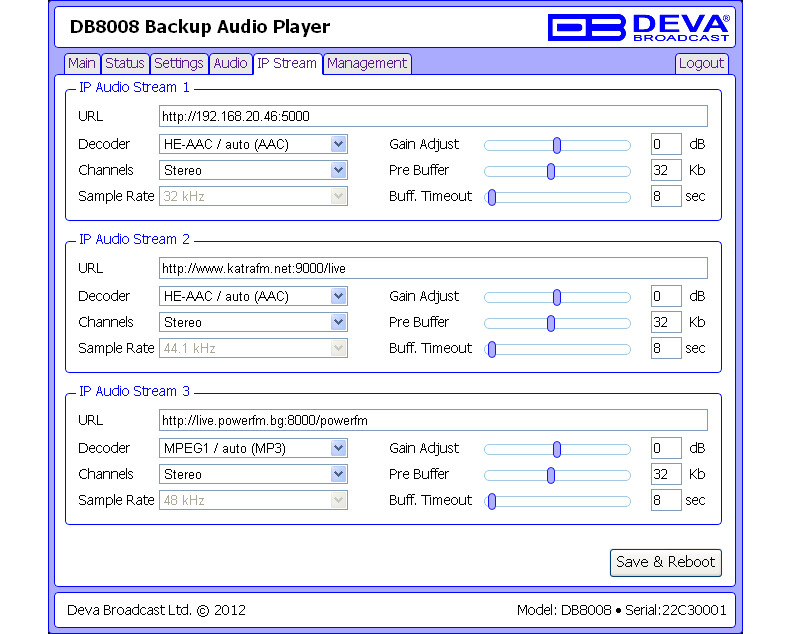 DB8008 is the unit, which can detect the silence in the FM emission, switch the output and insert audio from some of the alternative sources. 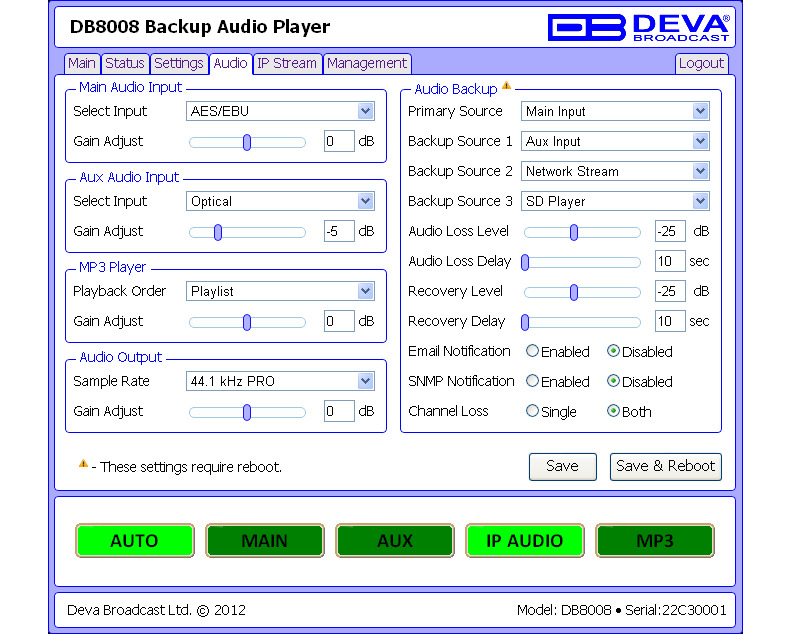 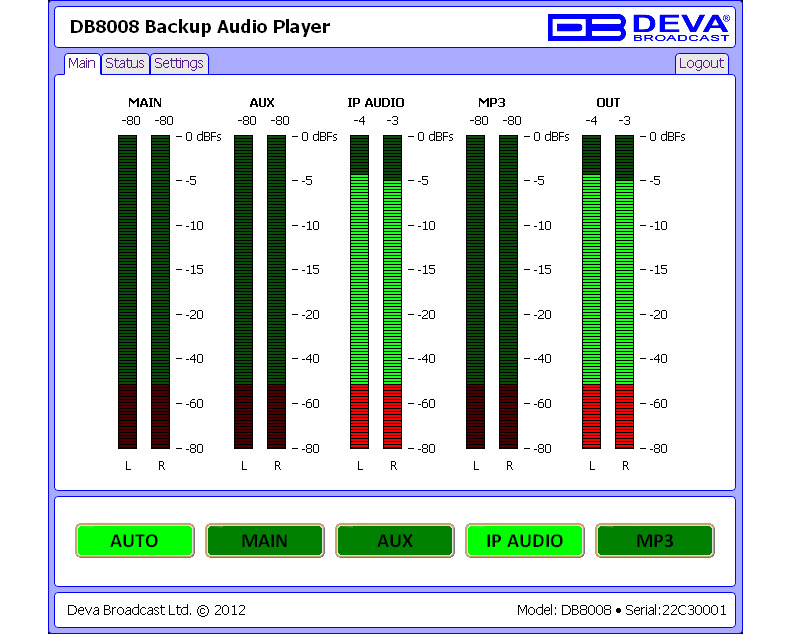 The MP3 backup audio files and play lists can be uploaded in the DB8008 from your PC using any FTP client. 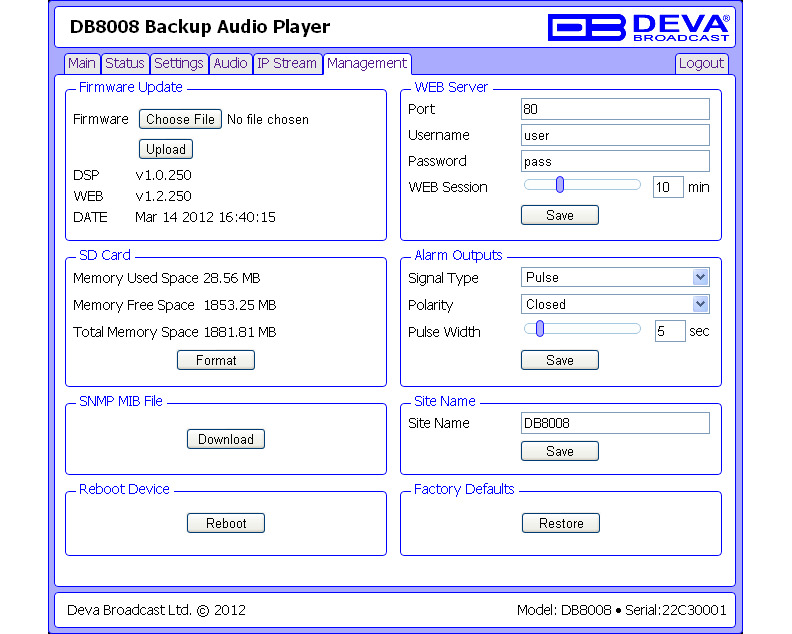 The audio storage capacity of DB8008 is 2 GB. DB8009-MPX - MPX & Audio Silence Monitor with Advanced Backup Capabilities. 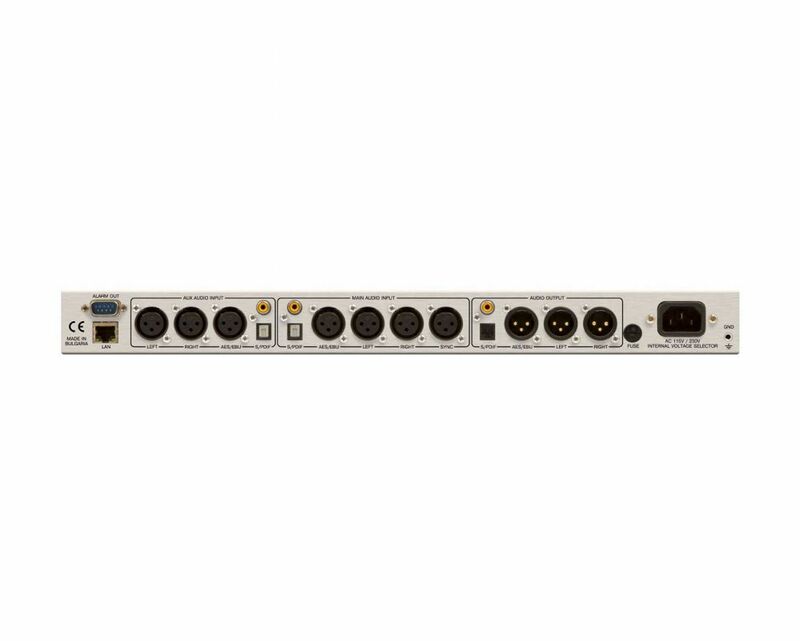 The device guarantees monitoring of the Composite Stereo signal, Analog and Digital Audio and MPX feed, as in case of signal loss, automatically switches over to a backup source. 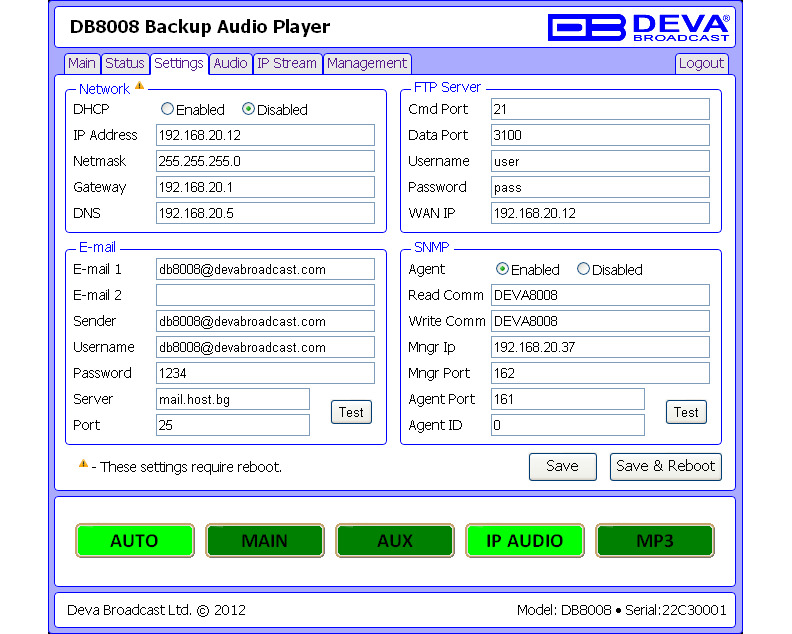 In addition DB8009-MPX also offers built-in MP3 and IP Audio backup source options and incorporates a fully DSP-based core.